When I got out of my house I was feeling so nervous. 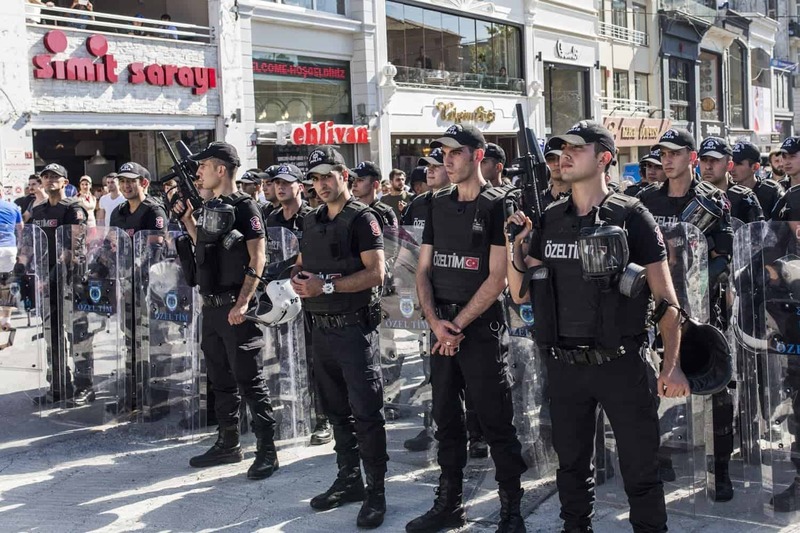 When I went to the marching area at Taksim square the police did not let me enter the area as they understood that I was going to participate in the march. Probably my outfit gave it away (I was wearing a grey t-shirt and orange backpack). They blocked the entrance to the square, a public area where everyone should have access. The police were wearing riot gear and shields and held every street around the Taksim square, they were afraid of the colors of the rainbow. Later, I went to another part of town, to end of İstiklal street where the participants were gathering as we were blocked from Taksim square, to listen to the press release of the Istanbul LGBTI+ Pride Committee. When we finally gathered the police immediately attacked with us teargas and rubber bullets, while the only thing we were doing was exercising our right to freedom of assembly and publicly protest. The teargas hurt my eyes and made it hard to breathe, around in the police went into the crowd and arrested people. I ran away together with other participants to rid of the tear gas they were firing at us and ended up at one of the nearby supermarkets. At this occasion, many of my friends were detained. Turkey is in a declared a state of emergency, therefore the detention practices are much harder now than it used to be. Police can keep anyone detained and locked up for 14 days without any justification or explanation. This is the way the State criminalises us and our peaceful Pride March and punishes the LGBTQI activists. We were all aware of this risk, and this was why I was running. 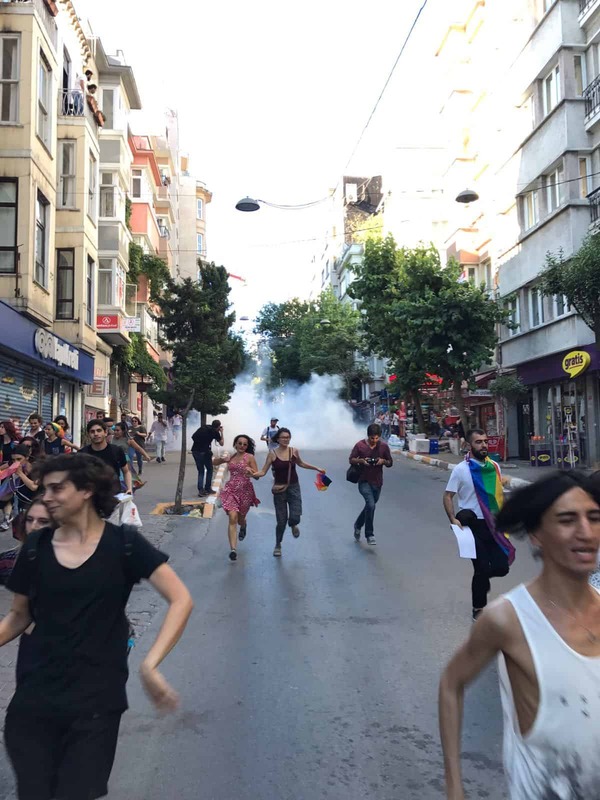 In fact, after I became active as an LGBTQI rights activist on the international scene, and after becoming a board member of IGLYO, I have had the opportunity to compare the many LGBTI + movements around the world with my own experiences in Turkey. I have had many conversations with activists from different parts of the world and many of them said to me “it must be difficult to be LGBTQI in Turkey”. But one of the biggest gains that the LGBTI + movement has given to me as a person is the realisation of how to fight for the LGBTI + persons human rights in areas where it is not easy. We have lost our friends while we were struggling. We faced many attacks and threats.